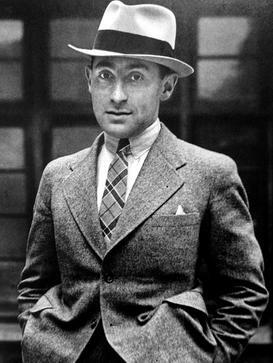 Alfred Eisenstaedt (December 6, 1898 – August 23, 1995) was a German-born American photographer and photojournalist. He began his career in Germany prior to World War II but achieved prominence as a staff photographer for Life Magazine after moving to the U.S. Life featured more than 90 of his pictures on its covers, and more than 2,500 of his photo stories were published.Among his most famous cover photographs was V-J Day in Times Square, taken during the V-J Day celebration in New York City, showing American sailor George Mendonsa kissing nurse Greta Zimmer Friedman in a "dancelike dip" which "summed up the euphoria many Americans felt as the war came to a close", in the words of his obituary. He was "renowned for his ability to capture memorable images of important people in the news" and for his candid photographs taken with a small 35mm Leica camera, typically with natural lighting.